Dr. L. James Wagner works as a Naturopathic Physician in the City of Bellingham. His office is conveniently located downtown on the 3rd floor of The Bellingham Towers, across the street from the Mount Baker Theater. Dr. Wagner completed his Doctorate in Naturopathic Medicine at the National College of Naturopathic Medicinein Portland, Oregon. He works as a family practitioner and emphasizes keeping one's life in balance so small health problems do not become big problems. Dr. Wagner's professional interests are in the area of allergy, dermatology and gastrointestinal disorders, yet he sees an array of cases in his day to day practice. Dr. Wagner is a member of the Washington Association of Naturopathic Physicians. and is a strong supporter of the American Apitherapy Society In his free time, Dr. Wagner enjoys being outside, bicycling, hiking, gardening, kayaking, wine making and traveling. He is a tandem paragliding instructor. Dr. Wagner lives in Bellingham. Dr. Wagner is currently accepting new patients. 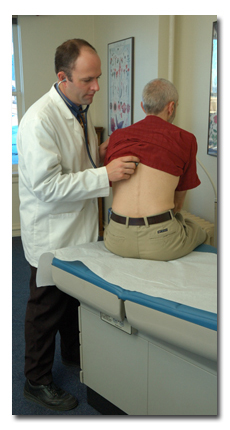 Dr. Wagner is a preferred provider many insurance companies.